Most of our team have been working feverishly on-and-off over the past two weeks on our entry for the excellent Mix & Mash — the great NZ remix and mashup competition, which closed tonight at 9pm. They have done a fantastic job often using unfamiliar tools and methods and coding that has pushed them past anything they've done before. I'm very proud of them and they really deserve all the credit. Great stuff! One of the data sources made available for this competion is all the hut (and track) information from the Department of Conservation (DOC). We immediately had some ideas around how we could make hut and track information a social thing and set about creating Hutli. We couldn't achieve everything we wanted in time for Mix & Mash so initially it is focused on huts. But it's pretty cool. People can tweet about their favourite huts as well as "like" and comment on them which posts back to their Facebook wall. 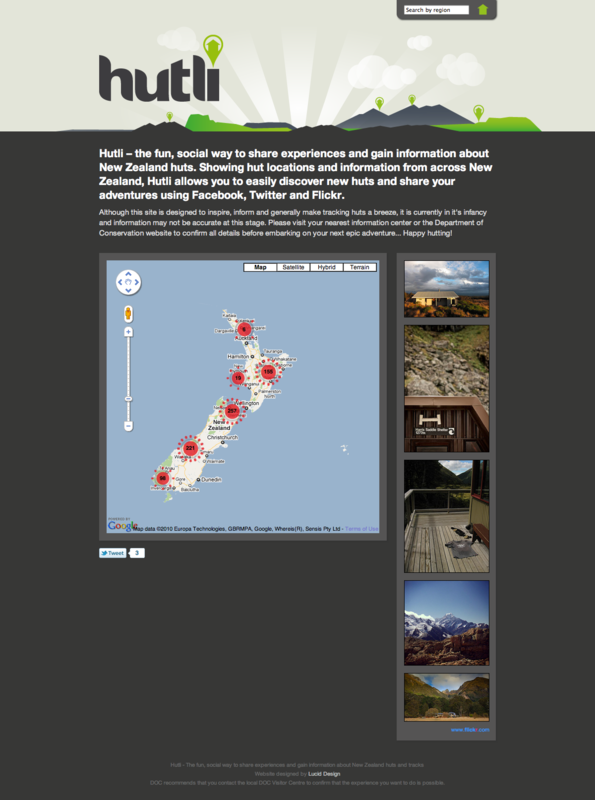 It's a great way to share stories about our experiences in New Zealand wonderful range of huts (over 750 of them it seems!). So, go check it out and leave a comment. 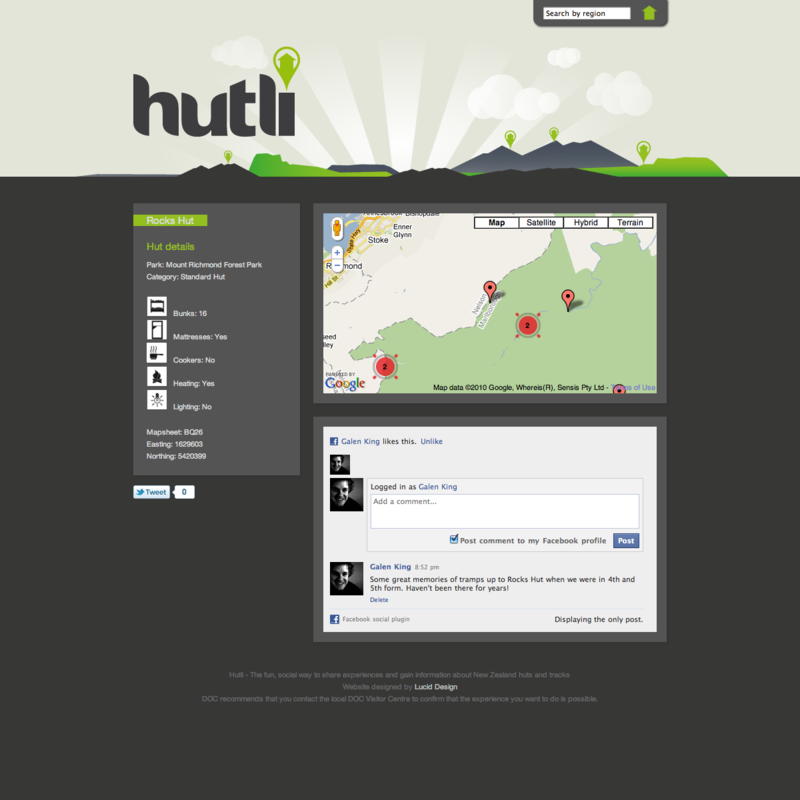 If you have any feedback, feel free to comment here or we have a forum setup at support.luciddesign.co.nz/discussions/hutli or you can drop us a line on Twitter, @luciddesign or @hutli_nz. Will post more about the process and what data sources etc we used to create Hutli in the coming days.